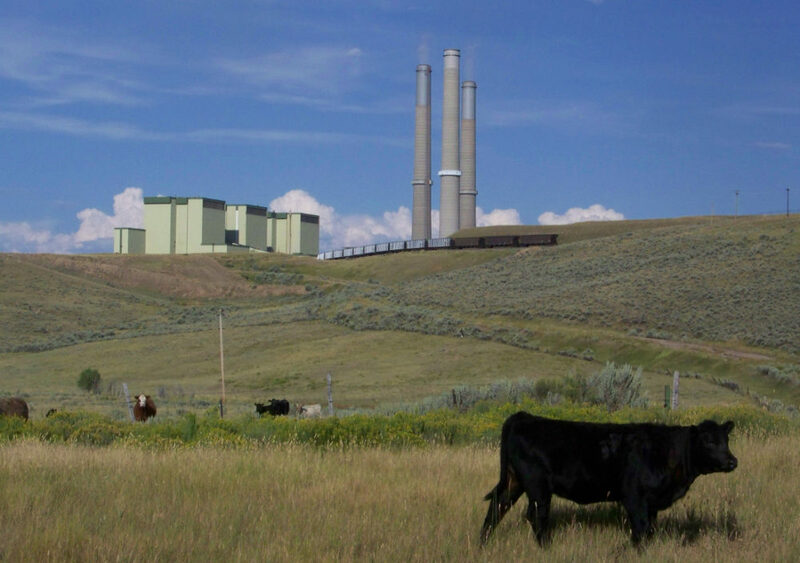 Craig Station in northwest Colorado is a coal-fired power plant operated by Tri-State Generation & Transmission. A cooperative that serves four Western states could soon be losing customers amid concerns it’s not moving away from coal quickly enough. Colorado-based Tri-State Generation & Transmission boasts of having the most solar generation of any G&T in the United States. 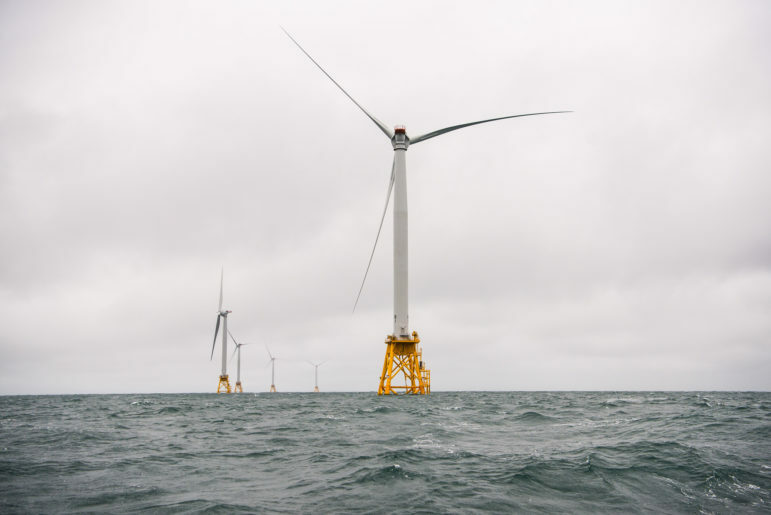 But whether it’s shifting to renewables quickly enough from its coal-heavy portfolio — and flexible enough to accommodate locally-generated electricity — has become a central issue with several of the 43 member cooperatives. 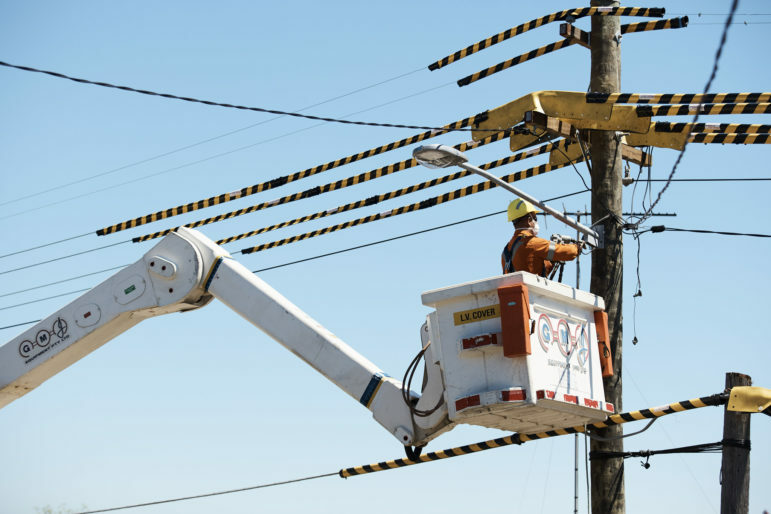 Directors of one of those member co-ops, La Plata Electric Association, voted in January to study alternatives during the next 10 to 15 years. The decision was made by the Durango, Colorado-based co-op after a petition was signed by 1,000 people and 100 businesses calling for 100 percent renewables with deeper penetration from local sources. Colorado’s Delta-Montrose Electric Association began negotiating a buy-out with Tri-State last year with much the same goal: greater development of local renewable resources. 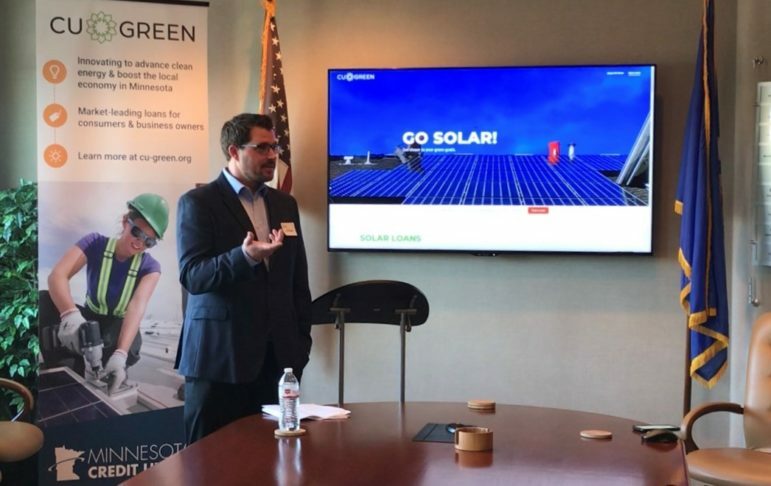 A template for both Colorado co-ops was established in 2016 when a New Mexico co-op, Taos-based Kit Carson, left Tri-State and signed an all-requirements contract with Guzman Renewable Energy Partners. Guzman paid the $37.5 million exit fee to Tri-State. It also promised to work with Kit Carson to develop 35 megawatts of solar arrays in Kit Carson’s three-county service area until 2023, when federal investment tax credit is set to expire. Kit Carson and Guzman are also planning to add battery storage. Luis Reyes Jr., chief executive of Kit Carson, says consultants to his co-op concluded that ratepayers would save $50 million to $70 million over the life of the 10-year contract. The plan includes rapid construction of local solar farms and robust purchases of wind generation likely combined with battery storage. 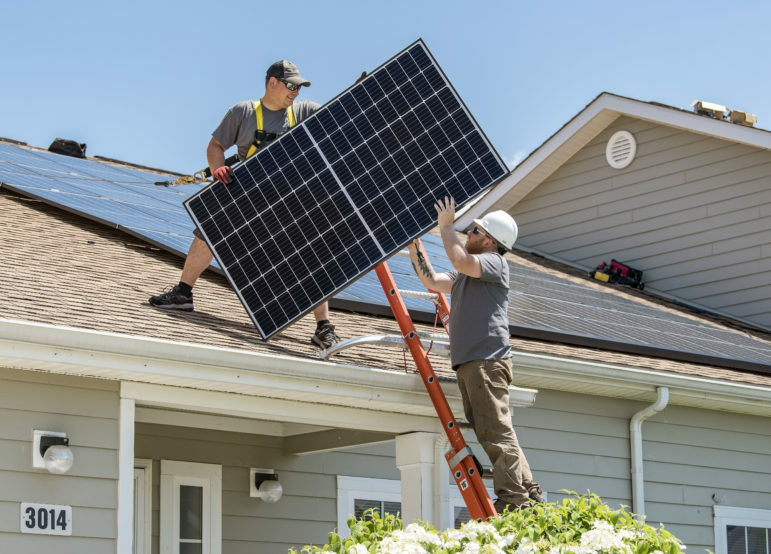 Bob Bresnahan, a Kit Carson director and retired executive from Nike, says he believes solar will meet a third of residential electrical demand by 2022. He also contends the co-op can make deep inroads in its goal of 100 percent renewable generation by 2030. La Plata’s contract commits it to getting 95 percent of its wholesale electricity from Tri-State Generation & Transmission through 2050. This commits La Plata to paying Tri-State 7.3 cents a kilowatt-hour even as wind and solar prices continue to tumble. Elsewhere in Colorado, Xcel Energy has received bids from wind developers at less than 2 cents a kWh and solar plus storage far below what Tri-State is charging La Plata. 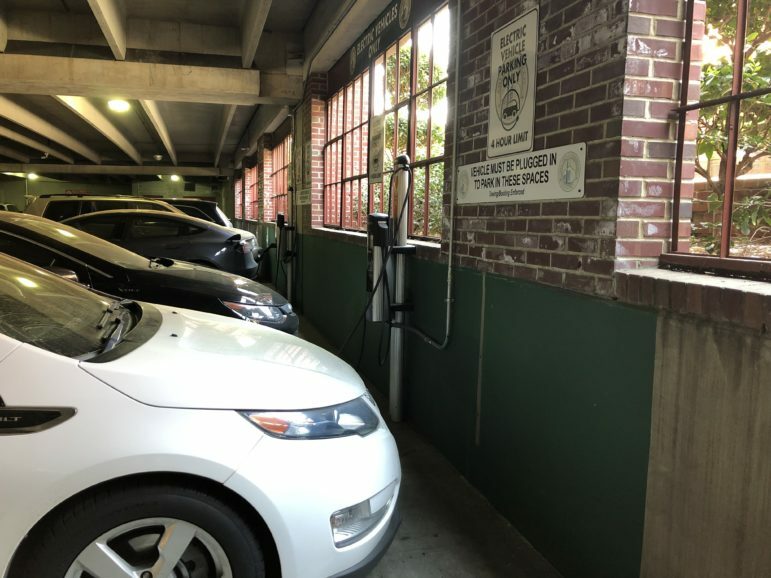 Member cooperatives of Tri-State can produce more than 5 percent of their total electrical use, the result of a 2015 ruling by the Federal Energy Regulatory Commission. Still in question are the terms. Tri-State, in an appeal to FERC, wants a ruling that says that member co-ops must pay for what Tri-State calls its fixed costs related to power production. FERC has not ruled on that case, which was filed in early 2016. Tri-State’s 43 member cooperatives collectively deliver electricity to 200,000 square miles in New Mexico, Colorado, Nebraska and Wyoming. 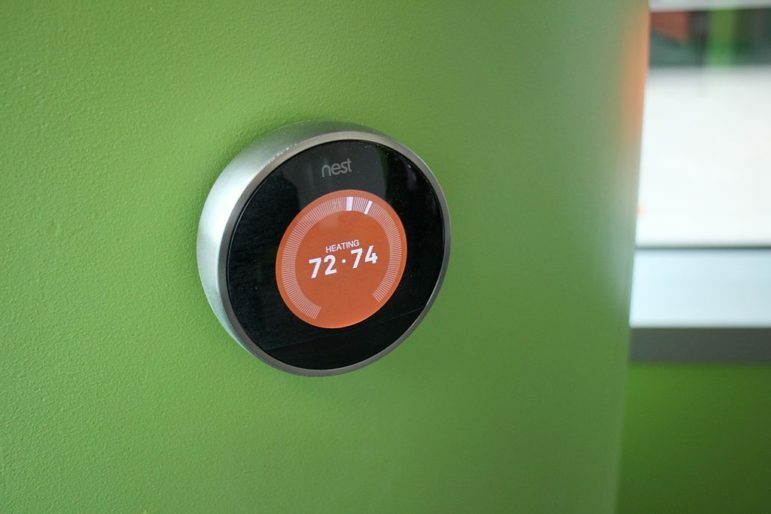 Their 615,000 metered members/customers include Telluride and other ski areas in Colorado and giant circles of corn on the Great Plains, oil-and-gas fields in New Mexico and some of Denver’s fastest-growing suburbs. Co-ops created Tri-State in 1952 to deliver electricity from new giant dams being built in the Missouri and Colorado River basins. Hydro still provides about half of Tri-State’s 1,115 megawatts of renewable generation. Wind constitutes the largest share of the new renewables, but the 85 megawatts of contracted solar are tops in the nation among G&Ts. Member renewable projects total 98 megawatts. “We are bullish on renewable energy,” says Tri-State spokesman Lee Boughey. In 2005, with demand still rising sharply, Tri-State was bullish on coal. 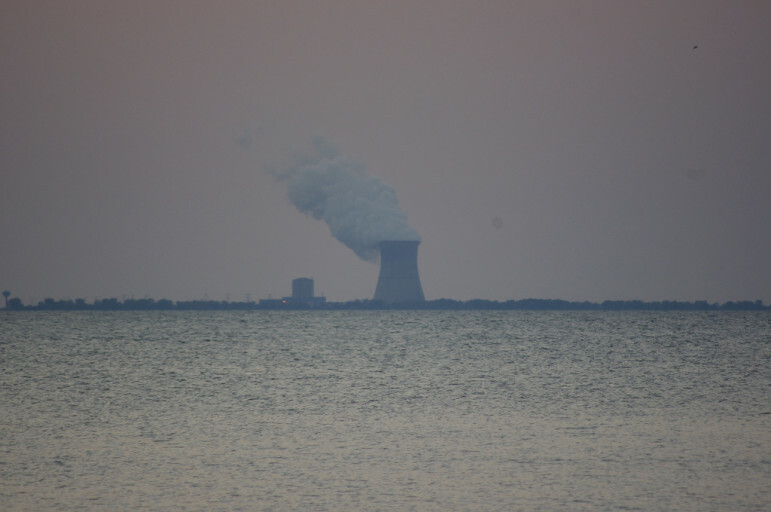 Wanting to build a major new coal-fired power plant in Kansas, it asked member co-ops to extend their all-requirements contracts by a decade, to 2050, the presumed lifespan of the plant. Kit Carson and Delta-Montrose refused. Finally, in March 2017, Tri-State got permits from Kansas to build the plant but has indicated it will not do so. Instead, it is shedding coal-fired generation. In December, the association lost its 40-megawatt stake in a unit at New Mexico’s San Juan Generating Station. It’ll lose another 100 megawatts of part-time generating capacity at Nucla, Colorado, by 2023 and then 102 additional megawatts of generation at Craig, Colorado, before 2026. All are the result of settlements under the Clean Air Act to reduce regional haze. Unger, the La Plata board member, says 60 percent of Tri-State’s electrical generation still comes from coal. Tri-State will only confirm 49 percent for 2017, but also reports 19 percent of its electricity comes from contract purchases. In Durango, La Plata’s subcommittee has met several times, but Unger says it’s still not clear to him that La Plata should, like Kit Carson, leave Tri-State. He’s disturbed that nearly half the board members didn’t want to evaluate the co-op’s options. Unger is also annoyed by implications that Kit Carson was forced to increase rates after it left Tri-State to pay the exit fee. “News articles indicate that the rate increase was to help the co-op with unprofitable affiliates, but the timing is a concern,” wrote Mike Dreyspring, chief executive of La Plata Electric, in an op-ed published in the Durango Herald. Directors of Delta-Montrose were unanimous in January 2017 in approving exit negotiations. Neither DMEA representatives nor Tri-State will comment on the talks, citing a non-disclosure contract. “What our board members want most is the flexibility to be able to diversify generation resources,” says Jim Heneghan, DMEA’s renewable energy engineer. Directors, he says, see local renewable generation as a vehicle for economic development. Delta-Montrose began pursuing this vision of local generation about a decade ago. it’s in a region of organic apple farms and other agriculture production along with one remaining coal mine. Scores of high-paying coal mining jobs have been shed and the region still lags the economic vigor found in more urban areas. A diversion project east of Montrose completed in 1909 contains a major fall before delivering water to farms. In harnessing that falling water to produce electricity, Delta-Montrose hit Tri-State’s 5 percent cap on local generation. When an outside developer proposed a third hydro plant to Delta-Montrose, the co-op took the proposal to FERC. In 2015, FERC agreed that the co-op was required, under the Public Utility Regulatory Act of 1978, to negotiate purchase of power generated by what PURPA calls a qualifying facility. Tri-State concedes that it cannot interfere with a member’s purchase of energy from a qualifying facility. But it wants to be able to assess the co-ops for the fixed-cost portion of sales it has lost above the 5 percent threshold. In Durango, Mark Pearson sees a different equity issue. The director of the San Juan Citizens Alliance, an advocacy group, he says the tens of millions of dollars exported from the local economy to Craig and other coal-mining towns would be better kept at home. Of La Plata’s revenues, 67 percent goes to Tri-State for electrical production elsewhere. “This is great for Craig to have this money raining down on their community, but we should have that money circulating in our community. If we can keep the money local, it’s better economically for us,” he says. Taking the long view, DMEA director John Gavan sees community choice aggregation coming, where consumers will have the choice of many power suppliers. Unlike electrical generation even today, he foresees changes driven from the grassroots that pose questions about Tri-State’s one-member, one-vote setup. He contends smaller co-ops have been more easily influenced by the expertise of Tri-State’s coal-minded officials. “Tri-State is a Senate without a House of Representatives,” he says. Both Pearson and Gavan see resistance to change being the fundamental issue. 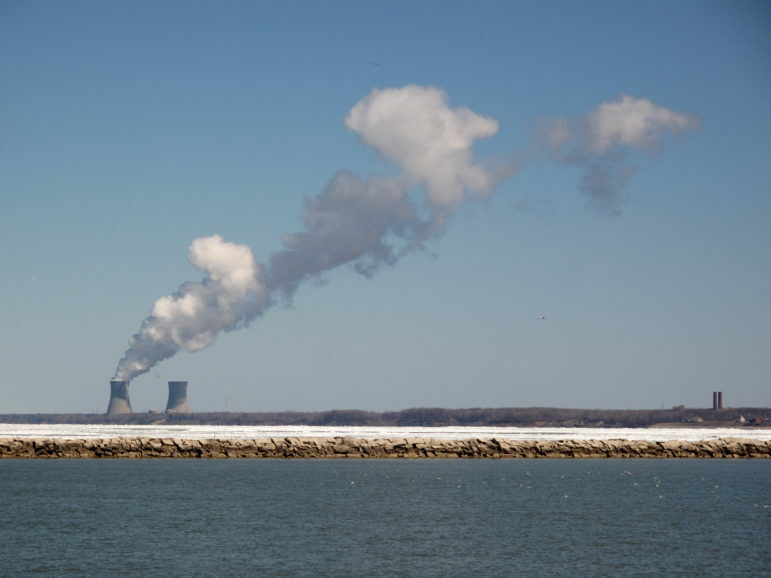 “It’s just hard for the old guard to change as quickly as the world is changing, to realize that coal is no longer the lowest cost fuel,” says Pearson.